← Boston Marquee Features our Gallery! “Roads & Rails” is a series that adds another of Louise’s favorite painting subjects, steam trains. A classic western train from Colorado, the Durango to Silverton, is paired with a steam train waiting outside the local Greenfield train station. Old cars and old trains refresh memories for many people, images right out of old scrapbooks and photo albums. 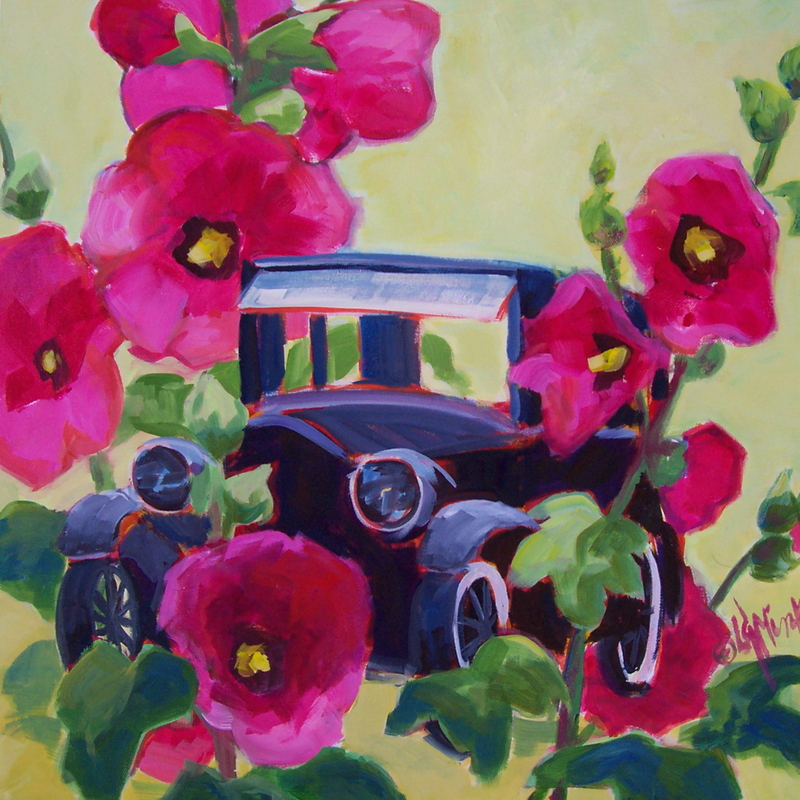 Louise often adds a twist to an image, perhaps huge flowers that make cars and trucks seem very small, or an intense red background behind the steel blacks, blues and grays of an old engine. Since history is a favorite focus for Louise, playing with these great historical images and shapes is for her a challenge and a joy. An Opening Reception will be held on Saturday, May 11 from 1-4 p.m.